Mariners Latest: Jerry Crack Sniff on Prince Fielder! Jerry Crack Sniff on Prince Fielder! On my way to work today I was listening to 710 ESPN's Kevin Calabro Show with Jim Moore and was all excited about their special guest Jerry Crasnick. He was on the line specifically to talk about a rumor that he had started about the Mariners organization lack of funds. Now, we all know that the Mariners don't have an unlimited amount of funds, but Crasnick was the culprit who tweeted that the M's only had 3 to 4 million left on their budget this off-season. Ludicrous!!! Crack Sniff's sources? Some agents. Okay, so let me get this straight, our General Manager is supposed to tell an agent that we have X amount of dollars? That makes sense. C'mon Crack Sniff are you an absolute moron or are you just slow? He did admit however that he was not too sure if that was money left altogether or money left after we set money aside to deal with Prince Fielder. He also admitted he was a little too quick to tweet that info like he did. IDIOT! So the Mariners have signed a few guys and maybe spent about 6 million dollars this year? Shooting from the hip on that number, but look to have a total of only 3 to 4 million left to spend? That would be a total of 10 million dollars this off-season. Does anyone recall Milton Bradley? The Mariners have more than 10 million. You can be an idiot and know more than that! The even more troubling part of this interview is the fact that Crack Sniff went on to talk about there being no way that Prince Fielder would sign in Seattle. That Prince Fielder wouldn't come to a losing ball club and that we weren't the right fit. He also stated that Prince Fielder would only add about 5 to 7 more wins to our team and it would be a waste of money for the M's. Thankfully Kevin Calabro spoke up at that point and disagreed. 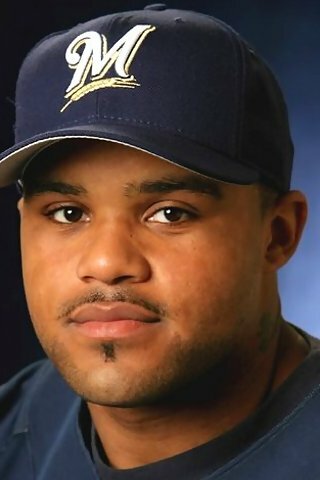 Whether we win or lose the division, Fielder would bring an added presence to our lineup that would get fans excited about coming to a game again. I for one would look forward to a game a heck of a lot more than I did last year. K.C. and Jim Moore seemed to agree with that too. As he rattled off all his excuses I started to buy in to all the garbage he was spewing for a moment because the M's aren't at this point a contender and are hard pressed for talent, but at the same time, Seattle is the exact type of market that Scott Boras is trying to sell his client to. A market where he can be the hero, that he can be loved by fans and draw a crowd, sell jerseys, bobbleheads and memorabilia. That is exactly the type of fanbase that Seattle is, one that supports it's team. Just ask our dear friend Ken Griffey Jr. How was his homecoming? Prince could thrive here. Prince could dominate here. Prince would love it here. We may not win a championship the first couple of years he's here, but he'll know that we are on our way. There is a higher sense of accomplishment when you grow with your team and win than signing on and winning. When I was in Little League I quit playing for a team because the Coach was horrible and the league switched me to another team. I finished out the year on a team that would eventually win the championship. It was fun, I was excited, but in many ways I didn't feel like it was my championship, I felt as though I was just along for the ride. A lot of players hit free agency and make the comment that they want to play for a team that has the chance of winning the World Series. Of course, we all want to get there, but I look back at the Marlins first World Series, a bunch of free agents that weren't even on the same team the following year. For me, I think that is the worst World Series of all time. I wonder how many players feel like they bought their World Series rings rather than earned them? Prince wants to play for a winner I'm sure. Jack Z wants to build a winner. Wedge wants to build a winner. Seems like these guys all have a lot in common. If there is one thing I do know, it's that Jack Z is pretty good about talking up our team as a growing ball club with tremendous talent that is going to be a winner. Crack Sniff can say what ever he wants, I still maintain that Seattle is a place that players love to play, love to live and a team that is well on there way to winning.